The Pretty Flower begins with a group scene that cannot be edited with a sweep, but instead tag edits are used to heighten and explore characters and situations in a series of short scenes. Each of these cutaways (or petals) is eventually sweep edited, which brings us back to the group scene. The petal scenes lend themselves to extended tag runs and playing faster. The source scene, conversely, is a more grounded and patient section of the show to which we return and reset the energy. Colleen Doyle grew up in Cleveland where she wrote greeting cards and was a part of the cast that opened The Second City Cleveland. She has made appearances in the indie features Close Quarters and Open Tables as well as Fresh Off the Boat and the NYTVF Best Comedy Pilot, Shrink. Colleen taught at iO Chicago (Teacher of the Year 2014) and iO West, where she also served as Artistic Director and Training Center Director. In Chicago, Colleen performed with the lovely ladies of Virgin Daiquiri, Babymakers, and in the first sketch revue at the Mission Theater, Trap. In LA, Colleen teaches at Westside Comedy and performs with the ensembles Dummy and The Village Bicycle. For more info, please visit thecolleendoyle.com. Students must apply to be accepted into 701 classes based on teacher recommendation. 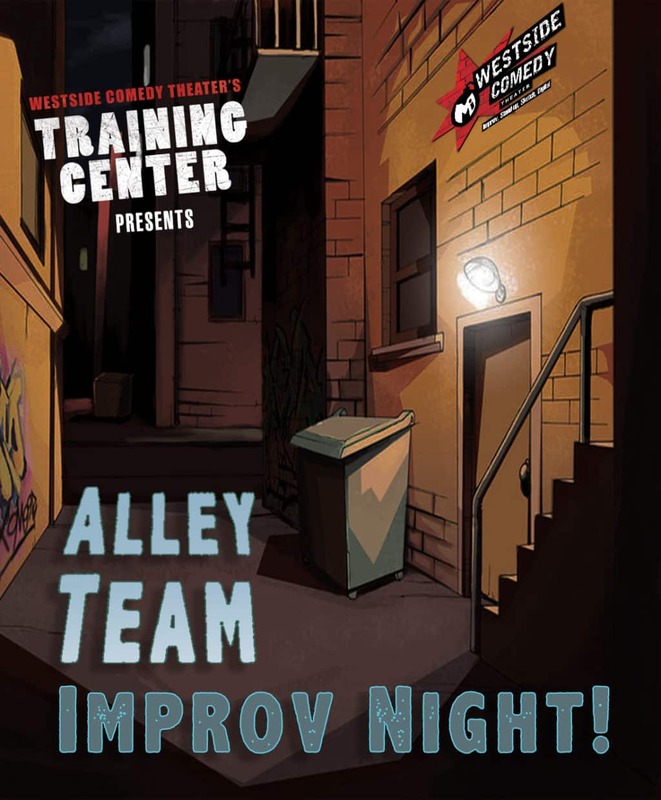 Please email Training Center Director, Carla Cackowski, at carla@westsidecomedy.com with the below information. Applications are accepted on a rolling basis until either the class fills up or the first day of class . Do not wait to apply in case the class fills up. Once paid there are NO REFUNDS or TRANSFERS.